The U.S. Catholic Church has blessed a mobile device App for Confession. This new phone app is aimed at helping Catholics with confession. The APP is $1.99 and it guides Catholics through the sacrament. Reportedly, it provides a personalized examination of conscience for individual users. I’m NOT making this up. A funny cartoon of a man in a Catholic confessional. 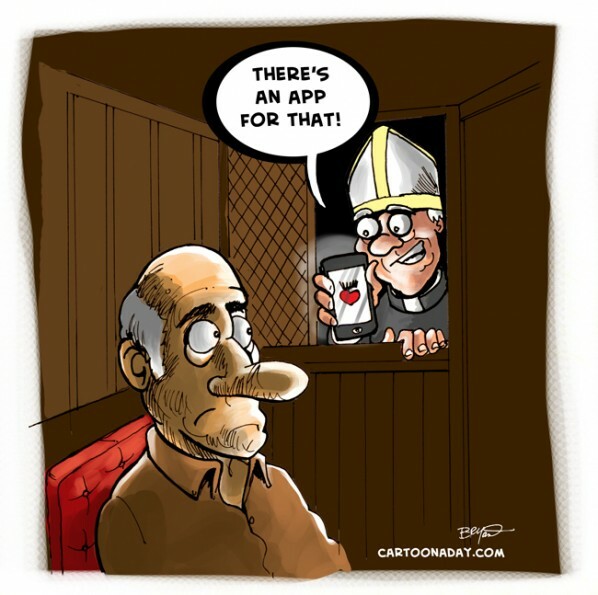 The Catholic Priest cartoon character says there's an APP for that.